The United players celebrate their cup win. 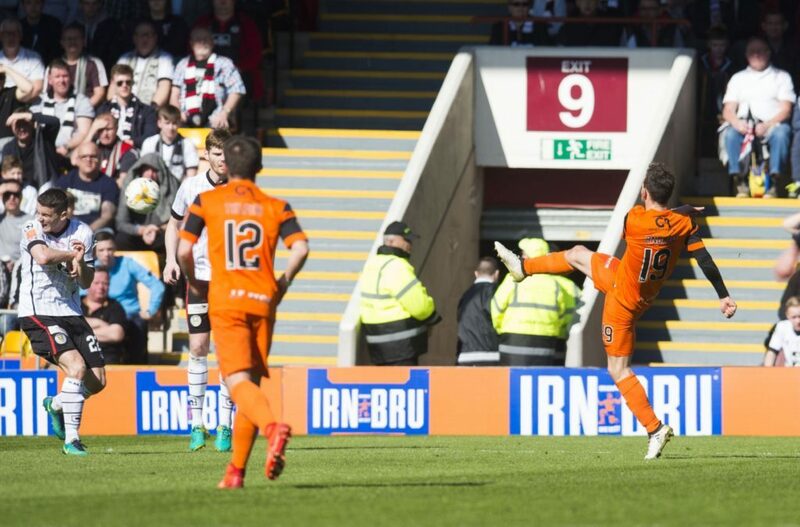 A bullet header from substitute Thomas Mikkelsen provided the fizz for Dundee United as they lifted the Irn-Bru Cup at Fir Park. 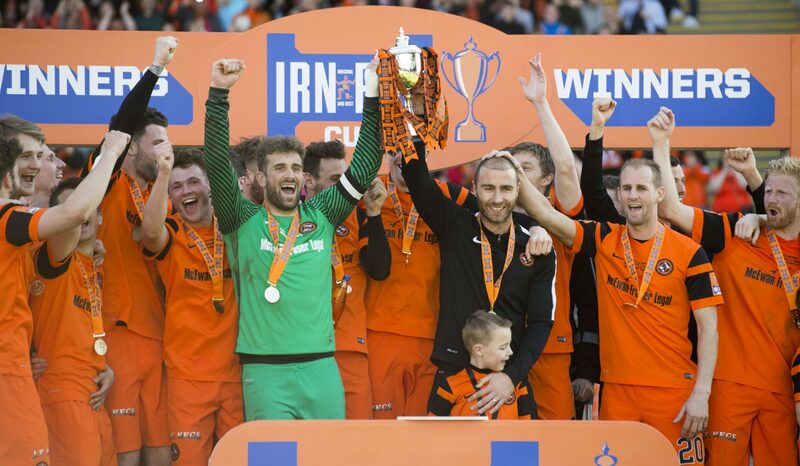 The Tangerines collected the trophy for the first time by beating fellow Championship club St Mirren 2-1 in an entertaining final played in the Lanarkshire sunshine. United had taken the lead on 37 minutes thanks to a fabulous volley from flamboyant Frenchman Tony Andreu but they lost their advantage within a minute when Rory Loy levelled for the Buddies. Danish forward Mikkelsen then climbed to nod home what turned out to be the winner on 75 minutes. At the final whistle, the players and fans celebrated and rightly so. Manager Ray McKinnon had said his the Tangerines were in it to win it and they kept that promise. The Tangerines made three changes to the starting line-up that faced Raith Rovers the previous weekend. Out went Frank van der Struijk, Lewis Toshney and Mikkelsen, all dropping to the bench. That meant a starting debut for 18-year-old Ali Coote, while Charlie Telfer and Nick van der Velden were also given the nod. As expected, McKinnon kept Cammy Bell in goal despite Luis Zwick featuring between the sticks in this competition up to the final. With Van der Struijk on the bench, McKinnon put midfielder Stewart Murdoch to the vacant right-back position. The Buddies made only one change to their side, with John Sutton coming in for ineligible former United loan man Cammy Smith. 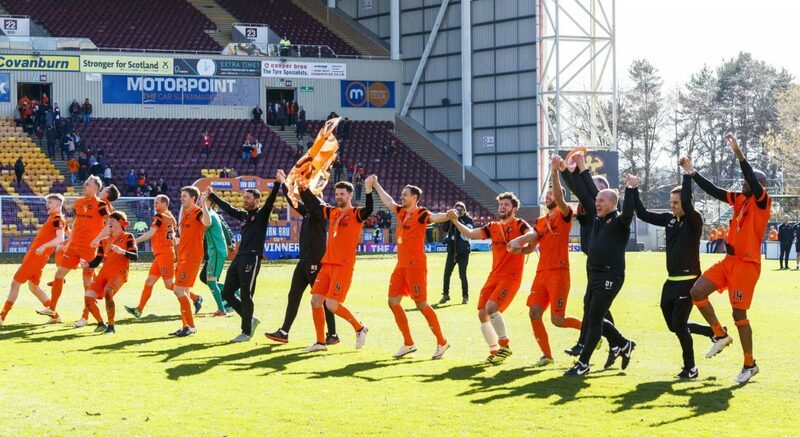 The Tannadice men, who had beaten Peterhead, Stranraer, Dunfermline and Queen of the South en route to the final, were backed by just under 3,000 inside a sunny Fir Park. Following a perfectly-observed minute’s silence in memory of those who murdered in the terrorist atrocity in London, United striker Simon Murray got the action under way. Coote, playing wide right, made a lively start and drove United forward. The first serious attempt on goal was from his teammate Andreu but the Frenchman pulled his shot wide on three minutes. On 10 minutes, St Mirren’s Gary MacKenzie got on the end of a freekick from Stephen Mallan but the danger was cleared. Up at the other end just a minute later, Murray cut inside from the right then unleashed a left-foot shot that wasn’t too far away. Mallan blasted a freekick over the bar from just outside the box then there was a huge scare for United on 20 minutes. On-loan Dundee frontman Loy came oh so close to getting the opener for the Buddies when he clipped the post with a shot after getting on the end of a ball from Lewis Morgan. It got even scarier four minutes later when the United defence was opened up by Morgan, who broke clear and took the ball to the right before sliding his low shot past keeper Bell and – thankfully for McKinnon’s men – wide of the far post. United were looking a bit ragged now and had to get up the park. They did so with some menace on 26 minutes, with Andreu’s sweet strike from the edge of the area not too far away. On 35 minutes, a cross from Kyle Magennis was allowed to fly right in front of United’s goal then, with the danger not cleared, Bell was the hero as he raced out to save from close range as Magennis shot at goal. The match was a bit stop-start and needed a bit of magic to spice it up. That certain je ne sais quoi was provided by Andreu, who volleyed United into a spectacular lead on 37 minutes after his initial cross was blocked. It was a brilliant first-time effort from 22 yards from the Frenchman that left Buddies keeper Billy O’Brien floundering. However, United being United they let themselves down in defence just 60 seconds after going in front. At a time when they had to stay focused, the backline was breached by Loy, who beat Bell with a low shot that went just inside the keeper’s left-hand post to make it 1-1. Fir Park was buzzing now and, after United’s Willo Flood was booked for a foul on Mallan, Mackenzie sent a header wide just before half-time. Saints got the second period started but United were first up the park, with Andreu hooking a left-foot volley over the bar. On 54 minutes, Murray raced forward up the left after being picked out by a crossfield pass from Andreu but his shot was blocked after he had cut inside. United brought on Mikkelsen for the ineffective Van der Velden just short of the hour mark then Telfer burst forward before clipping the ball over the St Mirren bar. With 66 minutes on the clock, the Tangerines had a decent chance created by Murray but when the striker played in sub Mikkelsen the Dane couldn’t reach the ball before keeper O’Brien. Mikkelsen was to be the hero, though, on 75 minutes as United regained their lead. It was a great move that saw a cushioned ball from Andreu reach Murray on the left. The former Arbroath man took a touch before sending over a superb ball right into the heart of the goalmouth that was headed home by the sub. The task for the Tangerines now was to keep the door shut at the back. Andreu fired over from the edge of the box then Mikkelsen blasted into the side-netting as United continued to press forward. Coote, who was had a terrific match, almost wrapped things up for his side when he fired just wide then had a shot saved by O’Brien. Sub Alex Nicholls also came close in stoppage-time when his shot curled just past the post. The Buddies battled away in the five minutes of added time but this was United’s trophy and, let’s face it, you don’t lift a cup every day. 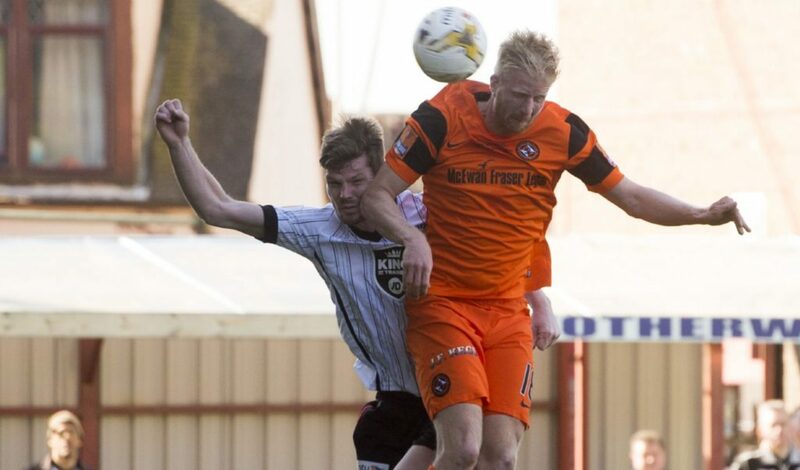 Dundee United: Bell, Durnan, Murdoch, Murray (Nicholls 80), Telfer, Edjenguele, Flood, Andreu, Coote (Donaldson 89), Van der Velden (Mikkelsen 58), Robson. Subs not used: Zwick, Dixon, Toshney, Van der Struijk. 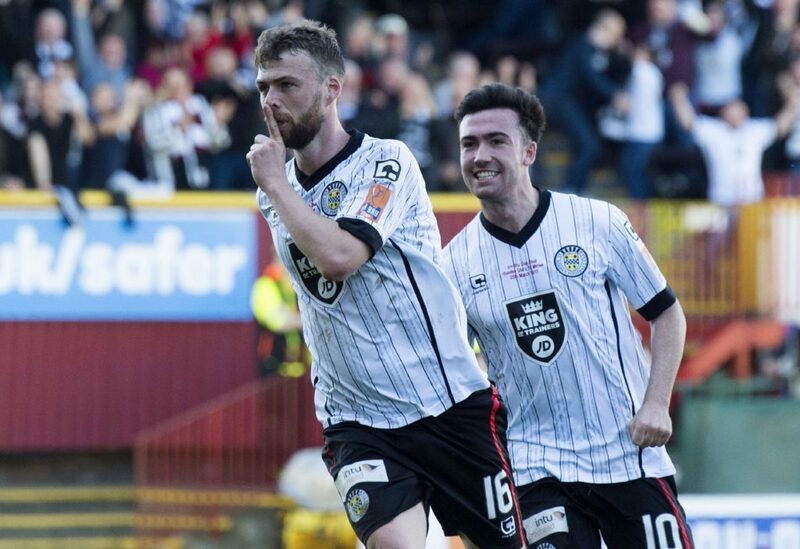 St Mirren: O’Brien, Irvine, MacKenzie, Sutton, Mallan, Baird, Loy, Morgan, McGinn, Magennis (O’Keefe 84), Eckersley. Subs not used: Langfield, Demetriou, Webster, Fjelde, Whyte, Watters.